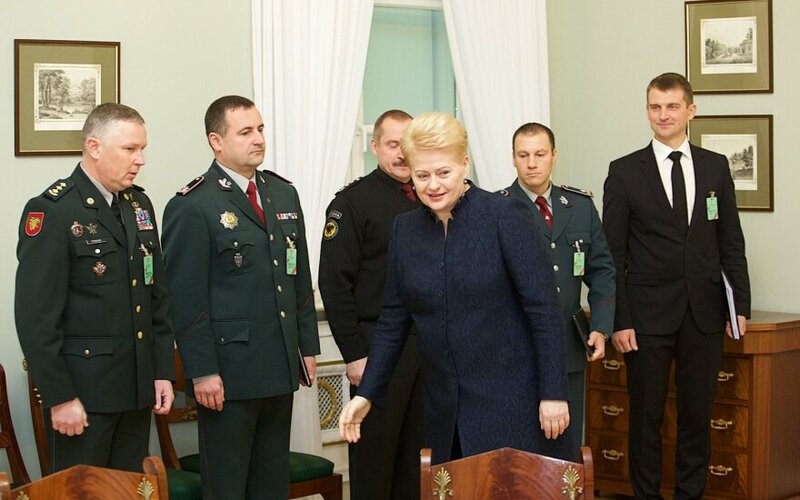 Lithuanian President Dalia Grybauskaitė highlights that officers responsible for domestic security must be properly trained to respond to all internal threats. Their qualifications must meet the highest requirements, she says. According to the president, funding of domestic security cannot be ensured at the expense of national security funding. During her Monday's meeting with leadership of services which ensure public security, Grybauskaitė stressed that society must have full confidence in professionalism and preparedness of police officers. "In the view of the president, the recent events - shameful police operations due to the irresponsible use of arms, border security incidents, massacre in Kražiai town - have become tests which revealed that public security inside Lithuania calls for more attention," said presidential spokeswoman Daiva Ulbinaitė after Monday's meeting. The participants of the meeting also discussed funding of institutions responsible for public security. Next year, they could get additional EUR 18 million, 8 million of which would go to the police. "We must make sure that this money is used to motivate officers," Ulbinaitė said.